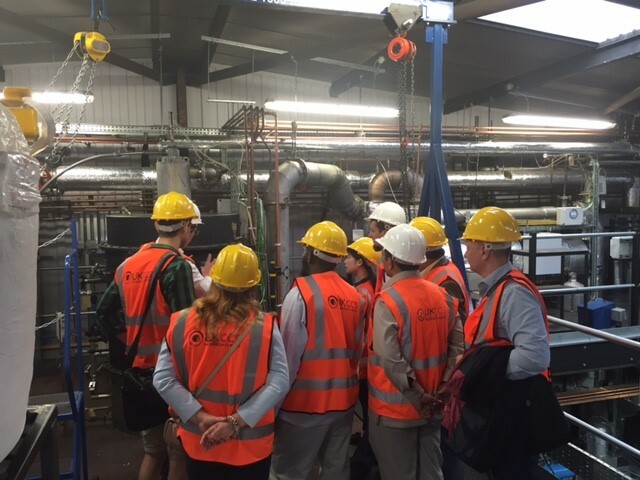 The first UK National Meeting on Coal Research and its Applications was held at Loughborough University in 1996. This event has now grown into a well established biennial conference with an international attendance. Building on the success of the previous ECCRIA conferences, this eleventh conference is to be held at the University of Sheffield. Home to over half-a-million people, including more than 60,000 students, Sheffield is situated centrally in the UK and is England’s fourth largest city. Bordering the beautiful Peak District National Park, it is a city of stunning landscapes - the greenest in Europe. There are seven hills, five rivers and more park and woodland than any other UK city. In the heart of Sheffield, pedestrian shopping areas lead to public gardens and squares. Museums, galleries and theatres share these spaces alongside a great selection of bars and cafés. The city is home to several important galleries and museums which have close links with the Tate and the V&A in London. Three distinctive venues form one of the most important theatre complexes in the UK, which have been named the best outside London for two years running. Sheffield can also boast the largest independent cinema outside London in the form of The Showroom. Sheffield was the UK’s first National City of Sport and has a long sporting heritage including the oldest football club in the world. It’s a rich, diverse, multicultural city which is proud of its reputation for being one of the friendliest and safest major cities in the UK. The purpose of this conference is to bring together researchers in universities and participants from industry, who are also carrying out research or are interested in the application of the research in industry. Papers which describe applications of research in coal characterisation, utilisation and preparation are now invited. Abstracts should be submitted to Maggi Churchouse by E-mail (contact details below). All abstracts must comply with the format specified on the conference website, where the full specification may be found here. The closing date for abstract submission is 29th January 2016. In the subject line of your e-mail, please indicate whether your abstract should be considered for oral or poster presentation in the first instance. Research students are also strongly encouraged to submit papers, attend and give presentations - there will be a reduced fee for students. Prospective authors are asked to submit one or more abstracts by 29th January 2016. Abstracts must conform to the format specified in the template, and must be submitted by the named presenter (not a third party). For papers accepted, the named presenter/author will present the paper at the conference either as an oral presentation or as a poster. In the subject line of your e-mail, please indicate whether your abstract should be considered for oral or poster presentation in the first instance. The named presenter/author must register and pay his/her conference fee before 15th July 2016 in order for their paper/poster to be confirmed in the programme. All authors of accepted papers are invited to submit, by 30th September 2016 at the latest, a full paper for possible inclusion in a Special Issue of "Fuel". The papers submitted must be prepared strictly in accordance with the Guide for Authors and must be submitted electronically via the "Fuel" website. Authors should clearly indicate that the paper is for the 11th ECCRIA Special Issue. All full papers will be subject to the normal refereeing requirements of "Fuel". 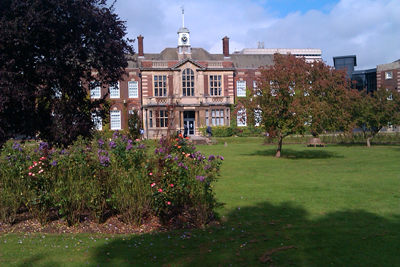 Building on the success of the previous ECCRIA conferences, this tenth conference is to be held at the University of Hull. Kingston-upon-Hull stands on the north bank of the Humber estuary at the mouth of its tributary, the River Hull. It is close to the east coast of the United Kingdom, about 25 miles inland from the North Sea. Established attractions include the historic Old Town, which was once the medieval hub of the city, where quaint old buildings and olde-world pubs have stood for years and the Museum Quarter, with four museums set around beautiful gardens. In addition, there is Hull Marina, which houses numerous yachts and small sailing craft and The Deep, a city landmark, where there are thousands of fish and sea creature on show. The redevelopment of one of Hull's main thoroughfares, Ferensway, included the opening of St. Stephan’s Hull and four theatres, including the new Hull Truck Theatre. Spectator sporting activities include professional football, Hull City AFC, (Premiership) and two rugby league clubs, Hull RLFC and Hull Kingston Rovers. The KC Stadium houses the football club and one rugby club. This friendly and vibrant city provides an excellent base for the conference and a showcase for the English East Riding, where it is hoped that delegates from outside the UK will continue to support this event and will thoroughly enjoy their stay in Kingston-upon-Hull. Kingston-upon-Hull is well connected by rail to London, (2.5.h), is served by ferry from Rotterdam and Zeebrugger, and by Humberside Airport, which has at least 3 direct flights per day from the International Airport hub of Amsterdam. Manchester International Airport is only a 2 hour journey by a direct train route. Advanced power generation, (APG), including enabling technologies; industrial combustion; gasification; and new materials for APG. All emissions issues, including alternative NOx reduction techniques to meet 2016 NOx limits; SO2, Particulates and Trace Elements. Carbonisation and other metallurgical uses; coal-derived products; coal preparation and handling; underground coal gasification and coal bed methane, and all other coal conversion processes, including coal to liquids. Research students are also strongly encouraged to submit papers, attend and give presentations and there will be a reduced fee for students. The Preliminary Conference Programme has now been published, (please see Programme Overview and Detailed Programme). Although the Call for Abstracts for this Programme closed on 31st January 2014, one or more further abstracts may be submitted for consideration at poster presentations at any time up to 31st July 2014. Such abstracts, which must conform to the specified format, (see template), should be submitted by E-mail to the Conference Manager at maggi@maggichurchouseevents.co.uk. For such abstracts to be considered, the prospective authors must simultaneously register to attend this Conference via the Conference Website, www.maggichurchouseevents.co.uk/crf. Although the Conference Programme is currently full, prospective authors of such abstracts may ask for an oral presentation, and such consideration will be given should a suitable slot appear in the Conference Programme. For papers that have already been accepted in the Conference Programme, one author must present the paper at the conference either as an oral presentation or as a poster. This author must register and pay his/her conference fee through the conference website, www.maggichurchouseevents.co.uk/crf, before 31st July 2014, otherwise their paper/poster can not be confirmed in the Conference Programme. All authors of accepted papers are invited to submit, by 30th September 2014, at the latest, a full paper for possible inclusion in a Special Issue of FUEL. The papers submitted MUST be prepared strictly in accordance with the Guide for Authors and MUST be submitted electronically through http://ees.elsevier.com/jfue/. Authors should clearly indicate that the paper is for the 10th ECCRIA Special Issue. All full papers will be subject to the normal refereeing requirements of FUEL. 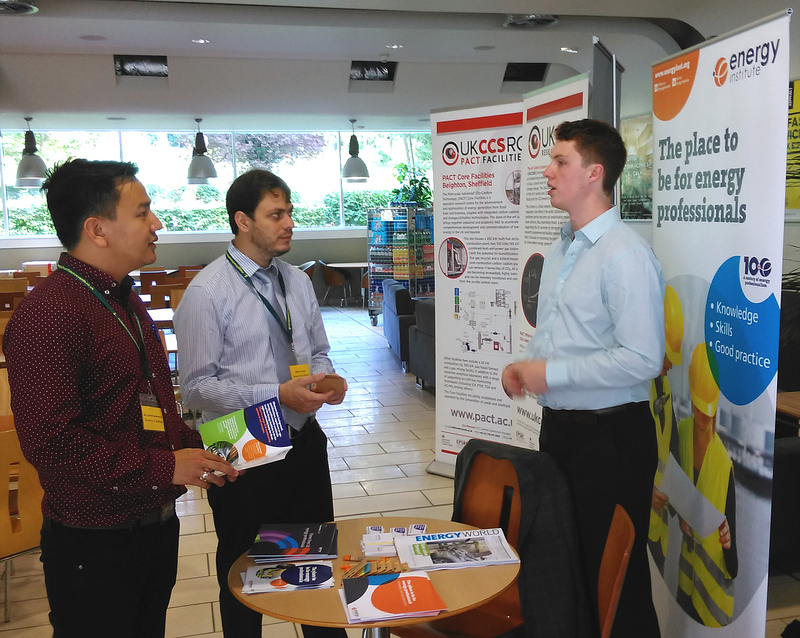 Building on the success of the previous ECCRIA conferences, the ninth conference was held at The University of Nottingham. Situated in the East Midlands region of England on the edge of Sherwood Forest, the legendary home of Robin Hood, Nottingham has had a colourful past of legend and lace and caves and castles. Beneath the bustling city streets is a unique labyrinth of man-made caves, and above the ground, Nottingham Castle stands high on the city skyline. Nottingham also has an abundance of restaurants, cafes, pubs and bistros. This friendly and vibrant city provides an excellent base for the conference and a showcase for the English East Midlands. The purpose of this conference was to bring together coal utilisation researchers in universities with participants from industry, who are also carrying out such research or are interested in the application of the research in industry. Papers were invited which describe applications in coal utilisation and preparation with particular reference to the following areas: improving efficiency and reducing emissions for clean coal technologies in conventional combustion power generation, including co-firing with biomass and wastes, ash and slag issues; advanced power generation, including enabling technologies; industrial combustion; gasification; CO2 removal, transport and storage technologies, including oxyfuel combustion and chemical looping; coal characterisation and plant diagnostics; all emissions issues, including alternative NOx reduction techniques to meet 2016 NOx limits; carbonisation and other metallurgical uses; coal-derived products; coal preparation and handling; underground coal gasification and coal bed methane, and all other coal conversion processes, including coal to liquids. Research students attendence was very strong and very welcome. Prof. John Patrick, University of Nottingham (Conference Chairman). Mr. David Couling, E.ON New Build & Technology (Committee Secretary). Dr. David McCaffrey, McEnergy Consultancy (Committee Finance Officer). Mr. Robert Davidson, IEA Clean Coal Centre (Programme Co-ordinator). Mr. Robert Ghent, Drax Power Ltd (Industrial Representative). Mr. Mark Roberts, Scottish and Southern Energy Ltd (Industrial Representative). Prof. Ed Lester (Local Organiser). 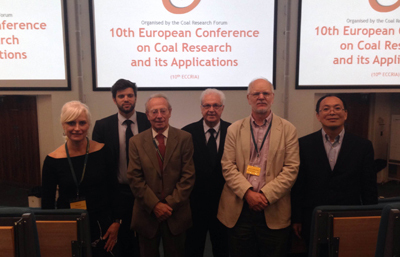 The seventh biennial coal research conference organised by the Forum was held in Cardiff in early September. The event was preceded, as usual, by a workshop organised by Robert Davidson of the IEA Clean Coal Centre. 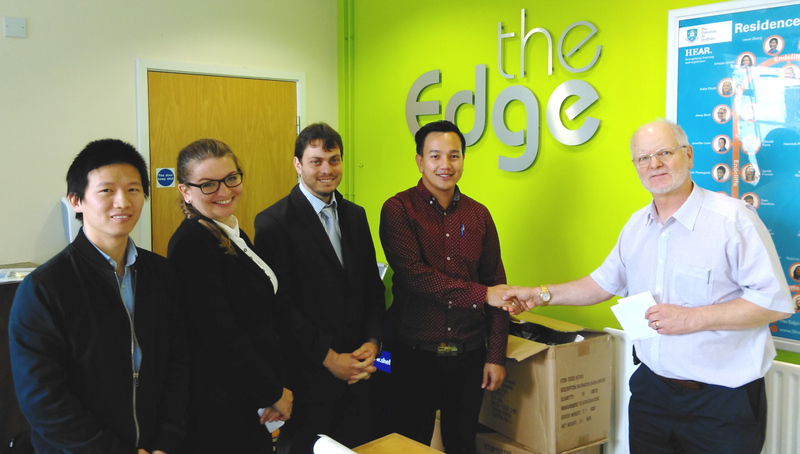 The conference was held from Wednesday 3rd to Friday 5th September and was hosted by Cardiff University, Wales. A late flurry of registrations resulted in the conference numbers being the highest of any CRF conference. Once again there was representation from a number of European countries such as Spain, Italy, France and Greece with some long distance travellers from Colombia, South Africa, Japan and Australia. A full programme of oral presentations covered two and a half days in which 68 papers were given in nine parallel sessions. There were no 'no-shows', which is at least in part due to the willingness of some presenters to step forward at the last moment - thanks are due to them. In addition there was a full poster session held on Wednesday evening in conjunction with a buffet dinner. The Conference Dinner was held on Thursday night in the convivial surroundings of Aberdare Hall. This once women-only hall of residence provided a pleasant atmosphere in which an excellent meal was enjoyed, we hope, by all. Unfortunately, the warm welcome which we received from the local organisers did not extend to the weather, which was particularly memorable for its almost incessant rain! We will remember this conference as "The Wet One" remarked one of the attendee towards the end of the week. The impression of the organising committee was that, although there were a number of minor technical problems, these did not detract too much from the overall enjoyment of the attendees and the conference was on balance a success. The committee would also like to place on record their thanks for the continuing support received from INCAR in Spain, the University of Nottingham and Imperial College London. As a footnote for anyone who did not enjoy the conference, the secretary and treasurer will be different for the 8th ECCRIA and any past shortcomings should be directed to the as yet unformed organising committee!